Trombonist Niels-Ole Bo Johansen has been teaching at The Royal Academy of Music in Aarhus since 1989 – in 1995 he became associate professor and in 2000 he was appointed to a full professorship. From 1980 – 84 he was a bandsman in various army bands and from 1986 – 2000 he was co-principal trombonist in the The Aarhus Symphony Orchestra. 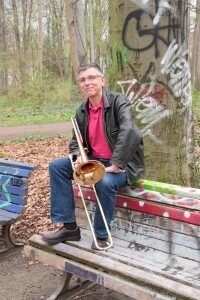 Niels-Ole Bo Johansen has performed and lectured at several of the International Trombone Associations Festivals and hosted the festival in 2009 in his hometown Aarhus, Denmark. He is currently chairman of the Aarhus Sinfonietta and ITA Scandinavia. He has served as 2nd Vice President of the International Trombone Association 2011-2014 as well as being a member of the International Trombone Festival board since 2010.